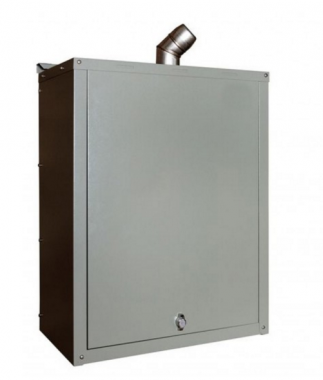 The Vortex Eco Internal Wall Hung 16kW Regular oil boiler is a wall mounted unit that has been manufactured and designed by Grant. It uses high efficiency condensing technology and features a variety of benefits. As a Regular boiler it will your central heating system directly and also produce hot water for your storage cylinder. As a Regular boiler requires both a hot water cylinder and a feed tank is not usually suitable for smaller homes where space is limited. This unit has an efficiency rating of 90.1% making the unit A rated. It has an output of 16kW making it perfect for homes with not such a high demand for heating or hot water. This unit features an award winning condensing heat exchanger as well as an Ecoflam MAX1 burner, multi directional flue, removable control box and an internal condensate trap. All of these features help to make it a highly reliable unit which operates very quietly. This boiler is available in a range of outputs from 12-21kW you can be sure there is a unit to fit your home’s heating demand. A 2 year warranty is also included so you can have peace of mind the unit will not let you down.